Established in 2012, Windward Tavern is a Fun Neighborhood Tavern. Formally known as Craig's this Princeton Avenue jewel is restored to accommodate everyone. Families, business professionals, singles, sports fans you name it you'll find it at the Windward. With classic American fare. 14 Beers on tap a great wine list and daily lunch and dinner specials. You will find fresh great food, great service and a great time at a great price. 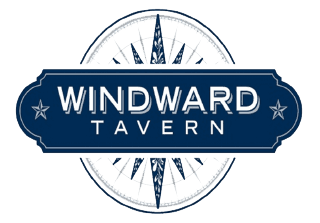 Windward Tavern is pleased to provide a family friendly environment, where our guest can relax, socialize, and enjoy great food with neighbors and friends (old and new) enjoy a meal in our completely renovated dining room & bar.